Surviving in Oregon’s wood products industry is not an easy proposition. Whether it’s increased global competition, environmental and regulatory changes or just the ups and downs of consumer spending trends, each year brings a new challenge. 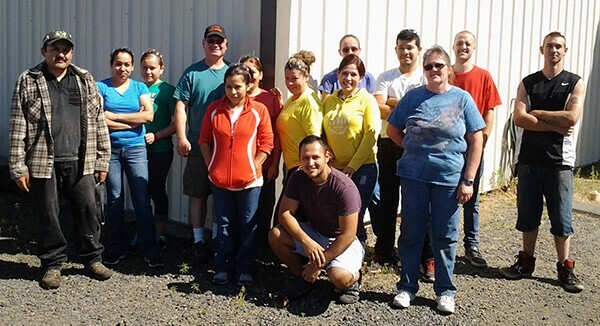 Pioneer Cut Stock, Inc. of Prineville, Oregon has survived and thrived, through a nifty combination of hard work, innovation and a commitment to quality. This has kept Pioneer Cut Stock going for thirty years, as a family owned and operated secondary wood products facility. Pioneer Cut Stock started in 1986 with one building and a small wood products cut line. Today, their operations are spread out over a 15 acre complex with five separate production facilities. They are recognized as a leading supplier for premier window and door manufacturers. 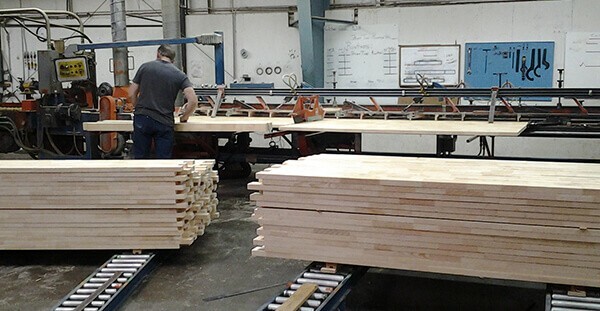 Pioneer Cut Stock essentially remanufactures random length wood products whose original primary sources could have been Ponderosa Pine, Eastern White Pine, Fir, Hemlock and Douglas fir. The company has the capacity to inbound around 20,000,000 board feet of lumber a year. They then turn it into a wide range of solid, molded, laminated and finger-jointed products. Pioneer Cut Stock hasn’t just survived through thrifty innovation, literally carving a niche out of what once was an opportunity that went up in smoke. They succeed through their commitment to quality and to the people who work for them. It’s a credo that extends to who Pioneer Cut Stock does business with as well as the organizations it supports. It’s one reason why they rely on support from SAIF OBI CompSAFE group workers’ compensation insurance. While many things have changed in the thirty years since Pioneer Cut Stock launched its business, the need for diligence in safety hasn’t. The wood products industry is still a highly challenging sector when it comes to creating safe work environments and reducing jobsite accidents. It certainly has had an impact. Pioneer Cut Stock consistently ranks as one of the safest companies operating in Oregon, and not just in the wood products industry. 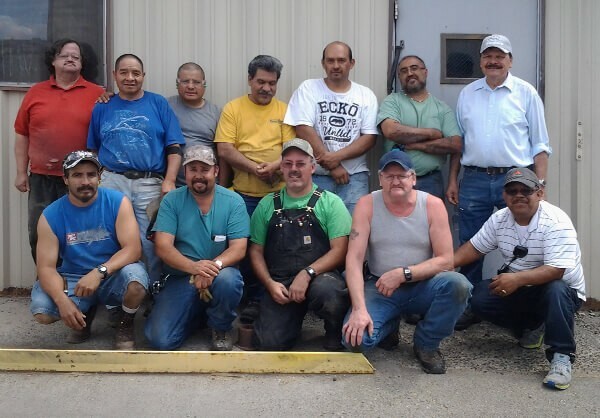 The company has been a longtime supporter of OSHA’s Safety Health Awareness and Recognition Program or SHARP. It’s a program that recognizes small business employers who have used OSHA’s onsite consultation program services and operate an exemplary injury and illness prevention program. Acceptance of a worksite into SHARP from OSHA is an achievement of status that singles a company out among business peers as a model for worksite safety and health. Pioneer Cut Stock has been so consistent in its safety efforts, Oregon-OSHA has permanently “graduated” them into SHARP program status. The company is also a member of the Oregon SHARP Alliance. That pride doesn’t stop at the plant door either. Pioneer Cut Stock stays involved with its surrounding community by supporting many local and regional organizations and non-profit charities. They also routinely encourage their 60-plus employees to come forward with worthy causes and community events the company can lend its support to. It’s a formula for success that should keep Pioneer Cut Stock going for another 30 years. VP of Human Resources for Dutch Bros. Since 1991, OBI has partnered with SAIF Corporation to deliver reliable workers’ compensation insurance to Oregon businesses at significantly discounted rates. CompSAFE protects your employees… and your bottom line.